How to Check Ubuntu Unity Version? and Install Unity on Ubuntu? 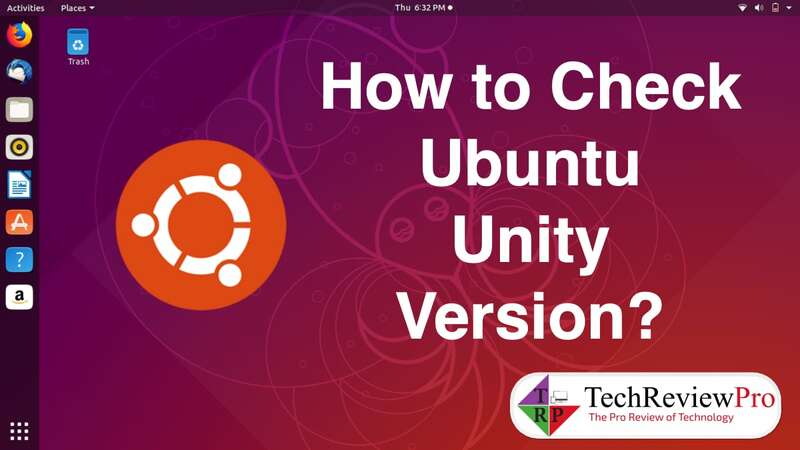 How to Check Ubuntu Unity Version? Linux distribution is famous for its ability to give users the choice of a desktop interface. You might go with KDE or GNOME or Unity. Well, you have more options as well – but it depends on what distribution you have and what are the pre-installed/supported desktop environments. If you have Ubuntu 16.10 or previous version installed, you will have Unity as the graphical interface. It’s easy to customize it and personally, I love it. However, with the newest versions of Ubuntu 17.10 and later (Ubuntu 18.04) – you will no longer have Unity but GNOME as the default. While it may not be a bad change, but some still prefer Unity. In any case, if you want to be on the latest version of Unity, you need to first know what version you have installed. In this article, we’ll tell you where to find the latest Unity version and how to check your Ubuntu Unity version. Also, we’ll take a look at how to install Unity on Ubuntu 17.10 or Ubuntu 18.04. Where do I find the latest Unity version? How to check the Unity version installed? How to install Unity on Ubuntu 17.10 and newer? Launchpad.net by Canonical hosts the files and the updated packages for Unity. You can head to Unity’s launchpad page and look for the latest package available. In addition to the latest version available, I will also recommend you take a look at the bugs, questions, and milestones mentioned in the page to get an idea whether or not you should upgrade your Unity interface. It’s the easiest method. But, in case, if you happen to utilize the Synaptic package manager, you can simply open it up and search for Unity to know about the version installed on your System. Select “lightdm” when asked – if you want to change the login screen to Unity’s original. If you like the current GNOME’s login screen, select gdm3 and proceed. Now, it will install the Unity interface and you need to restart the system to boot up with Unity. After the restart, you will observe an icon in the login screen (Ubuntu logo) – just click on it and select Unity to proceed login into Unity’s interface. It’s done! Now that you know the easy steps to install Unity and check the Unity version installed on your system – what do you think about it being maintained by the community? Do you think that Ubuntu should’ve stuck with Unity’s interface or they’re better off without it? Let us know your thoughts in the comments below. Fedora Vs Ubuntu – What’s the Difference?